Parts without hole (a) have rough surface while parts with hole (b) have smooth surface (click on the picture below to see it in a higher resolution). 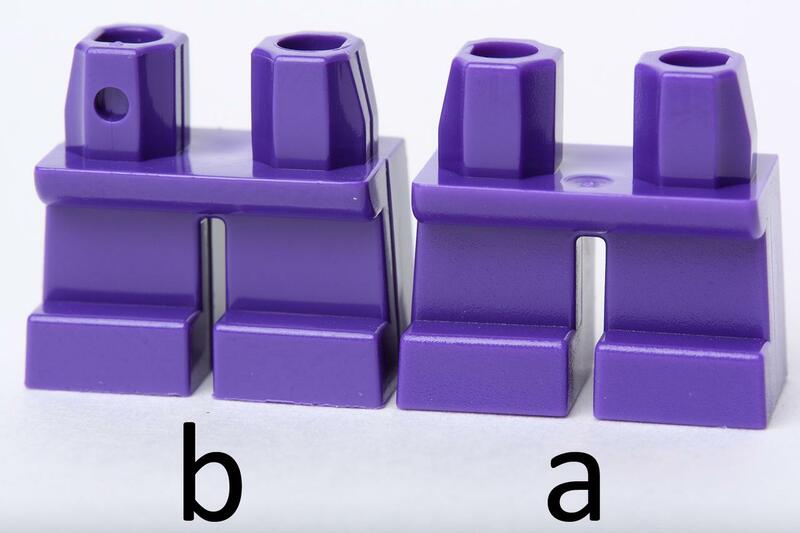 Click on a colored part below to see the Sets and MOCs that use part 41879a Legs Short [without Hole] in that color. You can find an overview of all LEGO Colors here. 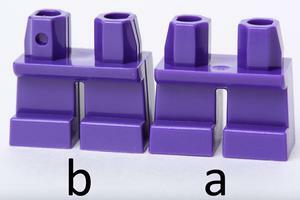 There are 3 Mold variations of part 41879a - Legs Short [without Hole] in the database, in use between 2002 to 2019. See Molds and other related Parts.